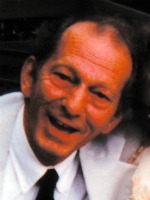 George F. Cory of Plainwell, Michigan, went to be with his loving Savior on Friday, March 30, 2012. Born in Tiverton, RI on April 2, 1937 to Roy E. and Miriam (Armitage) Cory who preceded him in death. Also preceding him in death were his infant son (Feb. 15, 1965); his sister and brother-in-law, Anita (David) Neville, brother-in-law, Craig (Barbara) Heinle and step-granddaughter Katherine Seeber. George is survived and dearly missed by his loving family; wife Carol (Heinle) whom he married on October 21, 1961 in Milwaukee, WI; daughters, Roxanne (Timothy) Seeber of Portage, Rebecca (Larry Zemlick) Cory of Portage, Courtney (Jeffrey) Arlington of Evans, GA, Hilary (Paxton) Olney of Scotts; his grandchildren; Cody, Taylor, Mackenzie and Sage Arlington, Abigail Seeber and Ava and Max Olney; step grandchildren, Mark (Ally) Seeber and Christopher (Courtney) Seeber; step great grandchildren, Jack Seeber and Audrey Mendenhall; brother Douglas (Susan) Cory of Tiverton, RI; sisters-in-law, Nancy Nofield, Barbara Heinle, Mary Coleman; brothers-in-law, Scott (Sue) Heinle, John (Janet) Buckholtz; many nieces and nephews, dear friends and business associates. He was owner of George Cory and Associates, a manufacturer’s rep agency, and was nationally known in the automotive aftermarket. He was a member of Zion Lutheran Church in Kalamazoo and lived his faith every day in a quiet, very simple way. George never met a stranger and never had an enemy; his greatest joy was to make other people laugh and was a treasured husband, father and friend to his wife and his 4 daughters. In keeping with his wishes cremation has taken place and a celebration of his life will be held 11am Wednesday at Zion Lutheran Church, 2122 Bronson Blvd., Kalamazoo, MI 49008. Contributions in memory of George may be made to the Campaign Fund at Zion Lutheran Church; SPCA of Southwest Michigan, 6955 W. KL Ave., Kalamazoo, MI 49009 or Christian Neighbors, P.O. Box 53, Plainwell, MI 49080. 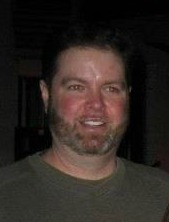 Brian E. Galovan of Allegan, Michigan died unexpectedly Thursday, March 22, 2012, at his home. Brian was born October 31, 1966 at Kessler Air Force Base in Biloxi, Mississippi to Patrick and Susan (Starner) Galovan. In 1984 he graduated from Kalamazoo Central High School, attended KVCC and became a Journeyman Mechanical Engineer. For over 20 years he was employed with Perrigo Co. in Allegan. He enjoyed tinkering and could fix anything mechanical. Brian was loved by all that knew him and his great sense of humor will be missed by many. Surviving are his mother, Susan (Steven) VanDenBerg of Plainwell; two brothers, Michael (Angie) Galovan of Plainwell and Timothy (Alice) Galovan of Portage; three nephews and a niece, Matt, Alex, Nolan and Julia. He was preceded in death by his father. In keeping with his wishes cremation has taken place. A Memorial Service will be held at 2:00 P.M. Wednesday, March 28, 2012 at the Winkel Funeral Home, Otsego, with Pastor Joe Shaler officiating. Contributions in memory of Brian may be made to Wings of Hope Hospice. Marie E. Hayes of Bloomingdale (formerly of Kalamazoo) passed away Friday, March 23, 2012 in Bloomingdale. Mrs. Hayes was born March 30, 1922 in Otsego to Herman and Marion (Worth) Augustin, the oldest of eight children. Marie was a member of the V.F.W. Post #3030 Auxiliary. She was a devoted homemaker and enjoyed fishing for bluegills, camping, quilting, gardening, morel mushrooms and reading. More than anything she loved being with family. 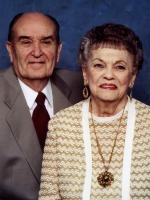 On January 10, 1947 in Otsego she married Nickolas J. Hayes who died in 1993. Also preceding her in death were a daughter, Pat Weller; a granddaughter, Lisa Langford; and siblings, Suzzy, Dickey, Bob, Herman “Bud” and Don “Chub”. Surviving are three sons, Bob (Norma) Weller of Wayland, Nick (Kitty) Hayes of Grand Junction and Don (Jeannie) Hayes of Otsego; seven grandchildren; many great-grandchildren; several great-great-grandchildren; two sisters, Ruth Barber of Otsego and Betty Barber of Allegan; many nieces and nephews. In keeping with her wishes cremation has taken place and there will be no services. Contributions in memory of Marie may be made to Adopt a Pet Rescue, 3537 Lake Ridge Ln., Allegan, MI 49010. Gertrude Haessig of Otsego, Michigan, passed away Wednesday, March 21, 2012 in Allegan. Mrs. Haessig was born February 2, 1924 in Marcellus to Dane and Emma (Cross) Marks. Gertrude attended Kalamazoo Central High School. She had worked as a waitress at several area restaurants and had worked locally as a nurse for over 20 years. Gertrude was a life member of the Otsego Elks, the Moose and the VFW Ladies Auxiliary and enjoyed camping, traveling, crafts and entertaining. On November 8, 1941 in Bloomingdale she married Michael Haessig who survives. Also surviving are 3 children, Lana (Daryl) Lucas of Ada, Patricia Crawford of Portage and Terri Bazzi of Otsego; 4 grandchildren, Steve, Scott, Mindy and Manal; 8 great grandchildren and 3 great-great grandchildren. She was preceded in death by a grandson Rex Ellis and 2 son-in-laws, Greg Crawford and Denny Babbitt. Friends may meet with her family on Tuesday, March 27 from 10-11 A.M. until the time of the service at 11:00 A.M. at the Winkel Funeral Home, Otsego with Pastor Kevin Sullivan officiating. Burial will follow at 2:00 P.M. at Mt. Ever-Rest Memorial Park, Kalamazoo. Contributions in memory of Gertrude may be made to the Alzheimer’s Association. 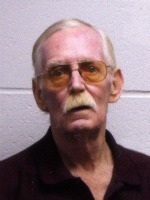 Dennis Lee Talsma of Allegan, Michigan, passed away Monday, March 19, 2012, in Allegan. Denny was born September 28, 1950 in Allegan to Nicholas and Josie (Hoekstra) Talsma and was a lifelong resident of the area. For 15 years he was employed by Rockwell International and then for 25 years by Haworth. In his leisure time he enjoyed golfing and fishing. On March 17, 1972 in Martin he married Diane Henry, who survives. Also surviving are his son, David (financee – Jami) Talsma of Allegan; his mother, Josie Talsma; two brothers, Dale (Jean) Talsma of Martin and Larry (Deb) Talsma of Hastings; several nieces and nephews. In keeping with his wishes cremation has taken place and a Memorial Luncheon will be held at 11:00 A.M. Saturday at Christ Community Church, Allegan. Private burial of ashes will be at Mountain Home Cemetery, Otsego. In lieu of flowers, donations in honor of Denny may be made during the memorial luncheon. 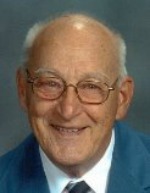 Eugene E. ‘Gene’ Brewster of Otsego, Michigan, passed away Saturday, March 17, 2012 in Hospice care. Mr. Brewster was born May 20, 1921 in Otsego to Earl and Nettie (Meyle) Brewster. In 1939 he graduated from Otsego High School. Eugene served in the U.S. Navy from 1943 to 1945, was a Postman for 31 years, part-time janitor for Otsego UMC for 31 years, parked cars at Plainwell sporting events for 15 years and worked for Winkel Funeral Home for 25 years. He was a life member of the Otsego Masonic Lodge, an active member of the Lions Club for 25 years, a life member of the Otsego United Methodist Church, and sat on the Otsego Planning Commission for 23 years. He enjoyed fishing, hunting and woodworking. On November 29, 1941 in Kalamazoo he married the love of his life, Betty Jean Fetzer, who preceded him in death in 2005. Gene was also preceded in death by his parents, his son Robert Eugene Brewster in 1979; his sister and brother-in-law, Loretta and Arthur Kling. Surviving are a son Timothy (Judy) Brewster of Otsego; 3 grandchildren, Mary Louise Brewster Brennan, Peter Leo Brewster and Amanda Marie Brewster; 5 great-grandchildren, Devon (Chelsey) Hicks, Sarah Brennan, Jordan Lee, Robert Brewster and Reese Lee; children of the heart, Terry McNees and Lynn Collins, Terri Lee Plotts, Ann and Ed Hill and Michelle McCloud; grandchildren of the heart, Tony (Sharla) McNees and Tim (Edi) McNees; great-grandchildren of the heart, Jerimiah Johnson and Talia (Caleb) Vanderveen, Lisa, Timmy and JaneAnn McNees; 1 great-great granddaughter of the heart, Laiyla Vanderveen; several nieces and nephews. Friends may meet the family from 2 to 4 and 6 to 8 P.M. Wednesday at the Winkel Funeral Home, Otsego. Funeral services will be held at 11:00 A.M. Thursday at the Otsego United Methodist Church, with Pastor Joe Shaler officiating. Interment with Military Honors by V.F.W. Post #3030 will follow at Mountain Home Cemetery, Otsego. Contributions in memory of Gene may be made to Wings of Hope Hospice or the Otsego United Methodist Church. 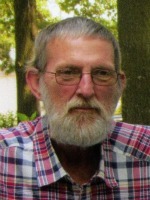 Charles E. Lent of Plainwell, Michigan, died Tuesday March 13, 2012 in Plainwell. Mr. Lent was born September 3, 1932 in Plainwell to Homer Arthur and Helen D. (Burroughs) Lent. In 1951 he graduated from Plainwell High School. He was a life member of V.F.W. Post #3030. For many years he served his country in the U.S. Army as a dining facility manager, retiring January 1, 1973, and then worked at Parker Hannifin-Brass for two and a half years. In 1980 he moved to Florida, where he was employed as a cook. Surviving are a son, William (Helen) Lent of Parchment; a step-daughter, Rebecca Massey; seven grandchildren, Marc, Ryan, Darlene, Jacob, Olivia, Devon and Heather; a sister, Joyce Croy of Columbus, OH; a brother-in-law, Harold Linsley of Gun Lake; several nieces and nephews. Preceding him in death were four sisters, Margaret Linsley, Donna Swartz, Olive Ash and Roberta Cheyne. Friends may visit with his family from 1 to 4 P.M. Sunday at the Winkel Funeral Home, Otsego, where Funeral Services will be held at 1:00 pm Monday, Pastor Tony Shumaker officiating. Cremation will follow the service and burial of cremains with military honors will be at Fort Custer National Cemetery. Contributions in memory of Charles may be made to V.F.W. Post #3030. 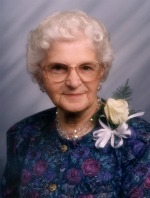 Mrs. Agnes (Hamay) Hadden of Otsego, Michigan, died March 14th, 2012 at the age of 99 years. She was born in Chicago, IL on January 6th, 1913., the fifth of seven children of Agnes (Frano) and George Hamay who both were immigrants to America from what is now the Slovak Republic. She grew up on a farm near Paw Paw, MI. and attended school there. She united in marriage with Gerald F. Hadden on April 19, 1933, and they resided thereafter in Otsego, MI. He preceded her in death in 1991. She was an active member of St. Margaret Roman Catholic Church in Otsego, the League of Mary and the V.F.W. Auxiliary. She was employed by the Otsego District Library for 23 years before retiring in 1982. She enjoyed working crossword puzzles and working in her flower beds. She was preceded in death also by her three brothers, three sisters and an infant son, David. She is survived by four sons and their spouses: Donnelly and Helen Hadden of Ann Arbor, MI, Dene and Linda Hadden of South Haven, MI, Dayle and Karen Hadden of Plainwell, MI and Gary Hadden of Otsego. She is also survived by seven grandchildren, including one special granddaughter, Erica Hadden, eight great-grandchildren, many nieces and nephews and myriad friends. The funeral Mass will be at St. Margaret Catholic Church on Monday, March 19th, 2012 at 10 o’clock AM. There will be a visitation from 4pm to 7pm Sunday with a Rosary at 7:00 at Winkel Funeral Home, 207 E. Allegan St., Otsego, MI 49078. In lieu of flowers donations may be made to St. Margaret Catholic Church, 766 S. Farmer St., Otsego MI 49078 and Kairos Dwelling, 2945 Gull Road, Kalamazoo, MI. 49048. 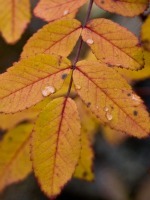 Donna M. VerMeulen of Gobles, Michigan passed away on March 14, 2012 in Allegan. Donna was born on January 12, 1937 in Plainwell, Michigan to Ray and Helen Wells. She enjoyed reading, coloring and her angel collection. Donna had been a foster mother to many children and had also worked doing day-care for children; she was also a wonderful homemaker. Surviving are her children, Lloyd Lambert Jr., Yvonne Grimm and Robin Lambert all of Michigan, Robert Lambert and Debbie Reep both of Louisiana, Marie Krebs of Oklahoma and Michael VerMeulen of Texas also surviving are her children’s spouses, numerous siblings and many grandchildren, great-grandchildren and great-great-grandchildren. Donna was preceded in death by her son Bradley Lambert and by her daughter Angela VerMeulen. Cremation has taken place and a gathering will be held for her family and friends on at 2:00 P.M. Saturday, March 24, 2012 at 64747 Winterwoods Dr., Lawton, Michigan. Contributions in memory of Donna may be made to Wings Home in Allegan. Gerald A. 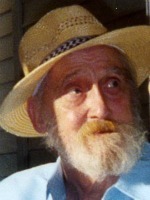 ‘Jerry’ Howe of Plainwell, Michigan, died Tuesday, March 13, 2012 in Kalamazoo. Jerry was born July 10, 1947 in Kalamazoo to Aaron and Esther (Johnson) Howe and was a lifelong resident of the area. He was a graduate of Otsego High School and during the Vietnam War served his country in the U.S. Marines. For many years he was employed in the paper industry and during his leisure time enjoyed watching sports. Surviving are a son and a daughter, Gerald ‘Jerry’ Howe, II of Plainwell and Rebecca (Adam Posther) Howe of Kalamazoo; siblings, Barbara (Bob) Rietkerk of Kalamazoo, Joann West of Alamo, John (Donna) Howe of Grand Junction, Janet (Ray) Penn of Portage, David Howe of Las Vegas and Kenny (Phyllis) Howe of Alamo; many nieces and nephews. Preceding him in death were three brothers and two sisters, Aaron, Sondra, Harold, Norrine and James. In keeping with his wishes cremation has taken place and a Memorial Gathering will be held at 1:00 pm Monday March 26, 2012 at the Otsego V.F.W. Post #3030. Contributions in memory of Jerry may be made to V.F.W. Post #3030.